“Discouraged” is a word I often hear when I ask my clients how they feel about their dating lives. In fact, it’s a common response to dating. While the highs and lows of dating may feel out of your control, you do have control of any mental blocks, past baggage or chronic issues that are potentially getting in the way of successful dating or leading to dating discouragement. This article, written for eHarmony, is aimed to help you get to the bottom of your dating discouragement and feel more confident about your love life. Click here to read more! Welcome to Rachel Dack Counseling LLC’s blog, written by Rachel Dack, a Licensed Clinical Professional Counselor (L.C.P.C.) and Nationally Certified Counselor (NCC). 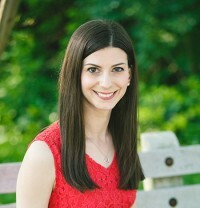 Rachel provides psychotherapy and dating support/relationship coaching services to individuals and couples in her Bethesda, Maryland office and over the phone. Please connect with Rachel by emailing RachelDackCounselingLLC@gmail.com, calling 301-655-8462 and following Rachel on twitter, Facebook and Instagram. Check back for more valuable resources, dating/relationship advice and mental health tips! This entry was posted in Anxiety, Dating, Emotional Well being, Happiness, Inspiration, Love and Intimacy, Personal Growth, Positive Energy, Psychotherapy, Relationships, Self-care and tagged breakup, connection, dating, dating advice, dating anxiety, dating coaching, dating help, dating tips, discouragement, eharmony, intimacy, love, mental blocks, online dating, relationship advice, relationship anxiety, relationship trauma. Bookmark the permalink.